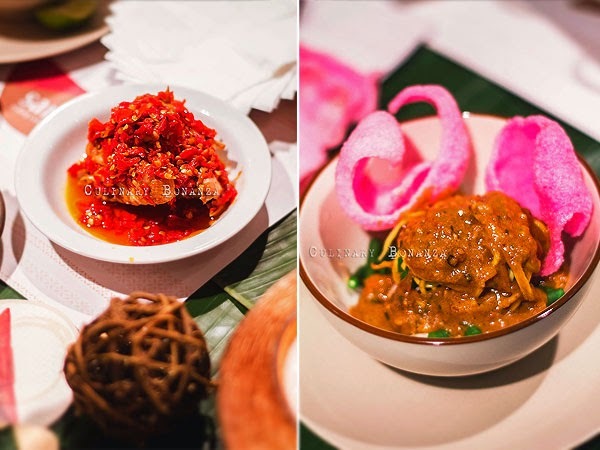 We all may already noticed that Padang restaurants are beginning to make their ways into the busy shopping malls. Actually I think it is a good way to promote Indonesian cuisine to the shopping mall frequenters, also to give them alternative besides the same few Western / Japanese restaurants that normally clutter the malls. Rendang is, after all, voted No. 1 in the Readers Choice of 50 World's Best Food by CNN Travel. It is only a matter of time before Rendang makes its way on the dinner menu of Queen Elizabeth (although I'd advise against it, for dear Queen's health sake). A relatively new example of Padang restaurant in the mall would be Saraso Padang Cuisine, which opened early this year at Citiwalk Sudirman. 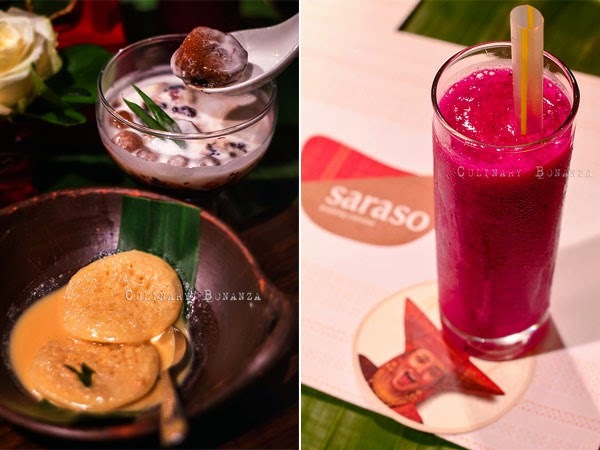 At Saraso, the dishes are themed aroung Peranakan-Padang style, a genre of Padang's rich & diverse culinary tradition that slightly differs from the usual Padang cuisine marked by the presence of Chinese influences. Saraso also claims to be an affordable luxury: affordable price for the elaborately and laboriously prepared dishes, all in the convenience and accessibility of a shopping mall. Sate Padang (photo below) - grilled beef or beef tongue on skewers, served with creamy herbed sauce and steamed rice cake (lontong). 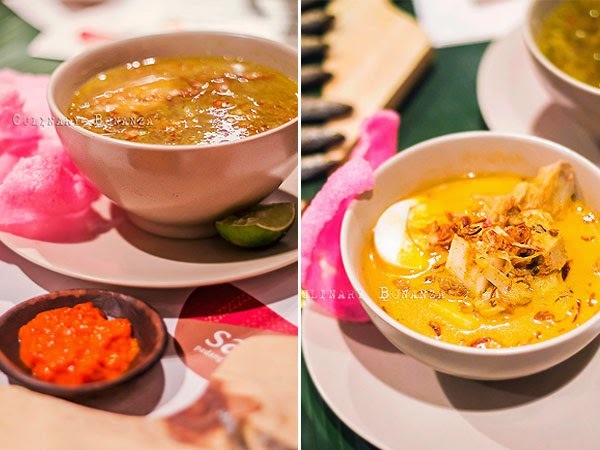 Lontong Sayur Padang (photo below) - mixed vegetables, boiled egg, tofu and steamed rice cake in coconut broth. Soto Padang (photo below) - beef chunks, vermicelli noodles in clear broth. Lontong Pecel (photo below) - yellow noodles, steamed rice cake, bean sprouts, french beans, served with sweet & spicy peanut sauce (pecel). Ayam Balado (photo below) - fried chicken served with red chilies (lots of it). Dendeng Garing Cabai Merah (photo below) - signature Minang crispy beef jerky, slow fried until crispy and all the spices seep in thoroughly, then served with lots of red chilies. Gulai Kepala Kakap (photo below) - snapper head cooked in curry gravy. 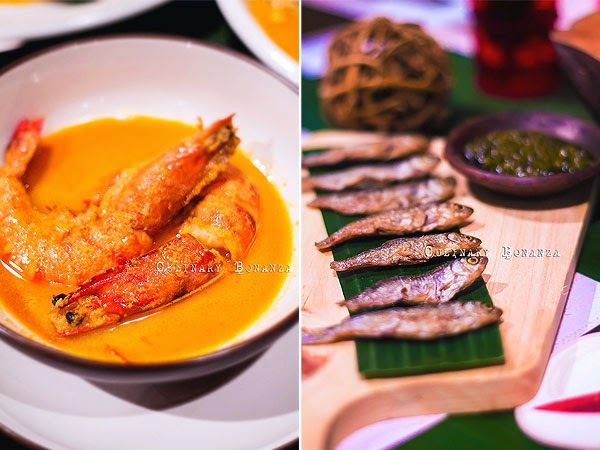 Gulai Udang Pancet Besar (photo below) - giant fresh water prawn cooked in curry gravy. Ikan Bilih Lado Ijo (photo below) - crispy fried anchovies served with green chilies. 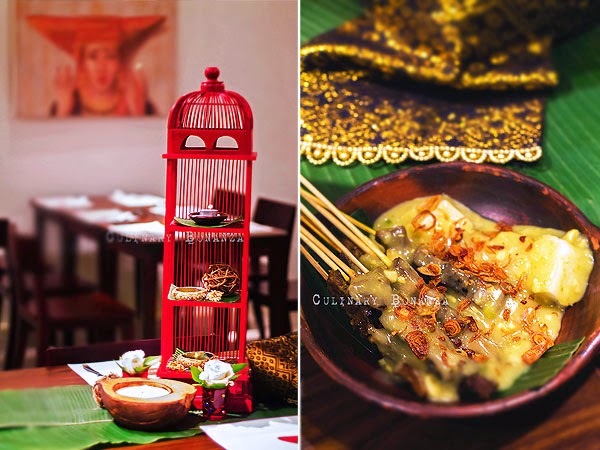 Serabi Padang (photo below) - Padang style rice-flour pancake served in sweet coconut milk. Bubur Kampiun (photo below) - a classic breakfast menu in Padang, this dessert is made of of black & white glutinous rice, sweet potato dumpling, mung bean served in savoury coconut milk. This is my personal favourite. - Green Elixir (photo below) - green apple & lime squash. - Stamina Booster (photo below) - purple dragonfruit, strawberry & lemon. - Organic Farm Essence (photo below) - papaya, carrot & lemon squash.